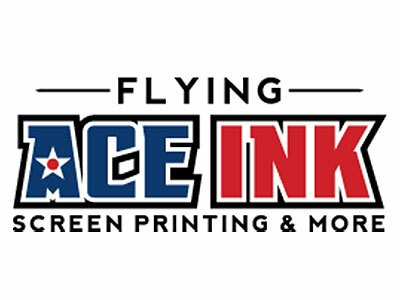 Flying Ace Ink, LLC is a full service screen printing shop. We provide our customers with the best in custom screen printed apparel and promotional items. Need business cards, brochures, or banners? We print those too! Every year we work with local churches, businesses, and schools providing quality products and quick turnarounds. If you're looking for friendly service, convenience, and the personal touch of a local business, then look no further. We strive to meet all of our customers needs through one on one interaction. Your apparel is a reflection of our ability to make you a happy customer. We offer our services and advice to help you market your apparel, logo, and designs. Feel free to call or email us to set up an appointment. We look forward to your call!